The Young ladies Institute, Queen of Peace #91 of Lodi, is celebrating its Annual Communion Mass on March 8th, 2015 during the 8:30am in St. Anne's Church. The Knights of Columbus will be hosting a Tri-Tip Dinner and Dance on Saturday, February 28th in St. Anne's Hall. This event will benefit local Seminarians. More information by clicking the title above. 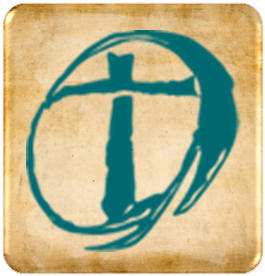 The Daughters of Isabella will hosting a Lenten Day of Reflection on Saturday, February 21st. The day begins at 8am with Mass and continues with a presentation, by Deacon Porfi Cisneros, at 9am in the Dominican Hall. Ash Wednesday is February 18th! We will have 6 Liturgies throughout the day. Click on the title to view the complete schedule. St. Anne's students are asked to participate in the annual Mardi Gras celebrations. For more information clink on the title of this article. The Office of Youth and Young Adult Ministry is searching for volunteers to help in the kitchen during the upcoming 8th grade confirmation Retreats. If you your are interested, please click on the title above. Would you like to participate more during Mass? The Liturgy Petal is searching for hearts called to serve during Mass as Communion Ministers or Choir Members. Click the title for more information. You are Invited to our first annual St. Anne's Father/Daughter, Mother/Son Family Valentin Dance on Thurs., February 12th! Don't miss the event of the year! See the full article for more information. The CJSF is selling Candy Grams! This Valentine's Day send that special person a Candy Gram! Order before Friday, February 6th! See the article for more information and for an order form!